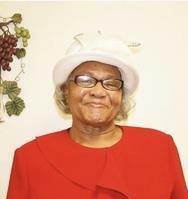 Mrs. Eunice Chestnut 87 Popular the family is meeting at 8066 Hwy 90 Longs. Viewing will be 2-7P Wed.(4/17) Funeral will be Thurs. (4/18) 2P at Chesterfield MBC. Burial in Chesterfield Cemetery. Get email updates about Eunice Chestnut delivered directly to your inbox. May God comfort your family in this time of sorrow. May He allow you to take comfort in the thoughts found at Psalms 120:1. My sincere condolences to the Chestnut family. May your prayers strengthen you and your treasured memories of Eunice comfort you. May God's promise at John 1125,26 bring you peace. Never miss an update about Eunice. Sign up today.